A very delicate Sicilian Extra Virgin Olive oil produced from Nocellara del Belice olive variety processed only with mechanical means without using any chemical extraction. A truly superior extra virgin olive oil, carefully produced by a farming coop based in Castelvetrano in the province of Trapani Sicily. This product would suit restaurants and delicatessen that are looking for an exclusive product to impress their demanding clientele. The producer is currently looking for importers and wholesalers based in the United Kingdom, United States, Australia, Japan, and China. 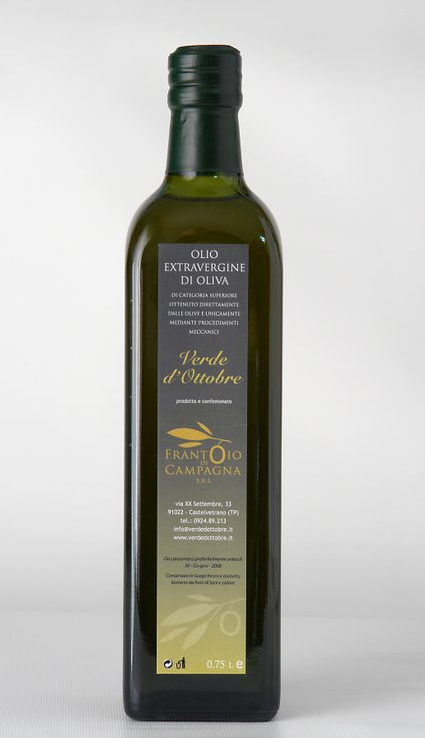 Excellent delicate Extra virgin olive oil, suitable for those who do not like spicy olive oils and it is ideal for dishes that require an oil that it is not overwhelming the other flavours. Slightly fruity non-acidic superior oil. Highly recommended.